It’s the turn of Cinzia Arruzza, an Assistant Professor of Philosophy at the New School for Social Research. 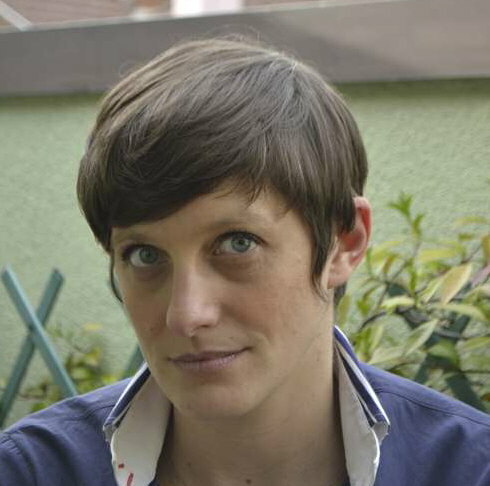 Cinzia received her Ph.D. from the University of Rome Tor Vergata and subsequently studied at the universities of Fribourg (Switzerland), and Bonn (Germany), where she was the recipient of a prestigious Alexander von Humboldt postdoctoral fellowship. Her research interests include ancient metaphysics and political thought, Plato, Aristotle, Neoplatonism, feminist theory and Marxism. She is currently working on two projects: a monograph on tyranny and the tyrant in Plato’s Republic, and a research project on gender, capitalism, social reproduction, and Marx’s critique of political economy. Cinzia is the author of Dangerous Liaisons: The Marriages and Divorces of Marxism and Feminism, an accessible introduction to the relationship between the workers’ movement and the women’s movement, investigating the questions Why does gender inequality exist? and How does it relate to capitalism? In the book, Cinzia examines historical examples ranging from the mid-19th century to the 1970s, including events, debates, and key personalities from China, Russia, the United States, France, Italy, Spain, and Britain. She shows time and again the controversial, often difficult relationship between feminism and Marxism. The theoretical questions that Cinzia discusses in the book include the origins of women’s oppression, domestic labor, dual systems theory, performativity, and differentialism. She maintains that it is a mistake to submerge gender into class or to believe that freedom from exploitation automatically brings about women’s liberation and the ending of sexual roles. At STOICON, Cinzia will give a talk on “Let us take care of ourselves: Stoic exercises and Foucault. Stoic philosophy included both a set of complex theories and claims about a way of life, which the Stoic student would try to achieve through a set of practices. These included a number of exercises aiming at enabling the Stoic student to live and embody Stoic philosophy, in spite of the several occasions of perturbation presented by the world around us. To live a Stoic life meant to assimilate oneself, as much as possible, to the Cosmic reason and to the Reason common to all human beings. Michel Foucault, however, adopted the Stoic exercises within his theory of subject formation, trying to answer a different question: how can we take care of ourselves in such a way as to become beautiful selves and as to rethink the relation between individual subjectivity and collective political action? In her presentation, Cinzia will focus on some of these exercises: the premeditation of death, the view from above, the inner citadel, the concentration on the present moment. She will argue that, while Foucault’s interpretation of the Stoics was historically wrong, he was nonetheless right that Stoic exercises have something extremely valuable to tell us about the relevant question of how we shall transform ourselves. This entry was posted in STOICON & Stoic Week on August 2, 2016 by Massimo.